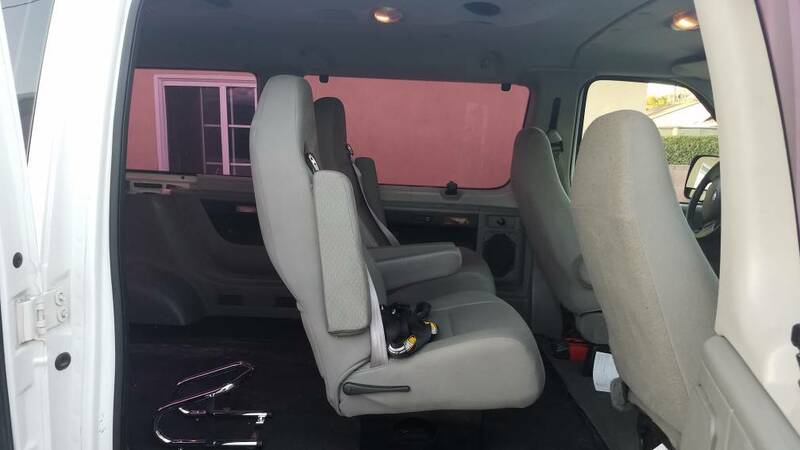 Sportsmobile Forum - Swivel seats in 2nd row E350 Chateau? We've got a 2006 Ford E350 Chateau version converted by SMB to 4x4. Still has the 2 captains chairs in 2nd row and bench in the back. I was wanting to find a way to swivel the two middle row captains chairs, has anybody done that? I Know SMB sells a swivel base but it says its just for the front seats. There are a lot of aftermarket ones on the market too but would be nice to know if someone has found a drop-in that would work in that 2nd row. 2nd row seats won't clear front seat backs from my checks. Not sure I understand. The second row is way back from the first. @ndubes, are your second row seats removable or on fixed bases? If removable it will be harder since the removable seat bases are mounted in the floor. If they are on bases like the fronts you can get 1der's (username, real name Ray) swivel bases and add them. For second row you will need to mount them with large washers to spread the load and you'll have to work around the exhaust and fuel tank below but it's doable. I've done it and many others have too. Our 2nd row seats are removable, so I guess 1der's bases won't work? Maybe he's a good resource to ask for our situation though if there's a solution... I'll PM him. If anybody else has any ideas for swiveling 2nd row removable seats lmk. There are shops in Phoenix that I'm sure would do it for us but I imagine they'll charge an arm and a leg. The second row bases are unique in that they have the quick release (as you know). The swivel bases wouldn't work as is for the second row. You might be able to replace the bases to the swivel bases, but that would mean you give up the quick release function. I'm ok with giving up the quick-release function but what I don't want is to have to drill new holes in the floor. From what I can tell the SMB version would require me to put new holes in the floor. I haven't matched up the quick release base bolt pattern to the front seat base bolt pattern, but if the bases that SMB sells require new mounting holes in the van floor, all the others will require new holes too. If you're handy with metal fab, you can probably fab up a mounting plate that matches the existing bolt holes in the floor then mates to the swivel base. Only problem is that it will sit higher. Sorry, yours must be set different than my 06. Those aren't factory Chateau seats.